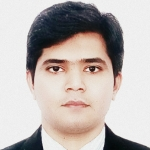 Prashant Bansode from Pune, B.Com Graduate. HR & ADMIN LEANING AND LEADERSH.. SOFT & BEHAVIORAL SK.. PERSONALITY DEVELOPM.. LIFE SKILLS EDUCATOR..
are one of expert skill area's of Prashant Bansode . Prashant Bansode is working in Human Resources industry.